One of the little know financing arrangements in Government contracts is the Advance Payment provisions found in FAR 32.4. A couple of years ago, we posted a two-part series on some of the requirements necessary to justify advance payments. We'll summarize some of that content here but the focus of this posting is what might happen after a contractor receives advance funding. If you're fortunate enough to qualify and choose to jump through a few hoops, its a great way perform on a Government contracting without having to commit capital to the project, which is great if the company has no capital to begin with. First, lets take a look at where FAR thinks that advance payments "may" be appropriate. This list is not intended to be all-inclusive but to give the contracting officer some ideas of circumstances that would justify advance payments. Contracts solely for the management and operation of Government plants. Contracts for which a loan by a private financial institution is not practicable (e.g. rates too high). Contracting officers are advised to authorize advance payments sparingly and advance payments are the least preferred method of contracting financing. Generally, advance payments should not be authorized if other types of financing are reasonably available to the contractor in adequate amounts. Loans and credit at excessive interest rates or other exorbitant charges are not considered reasonably available financing. There are some statutory requirements. The contractor must give adequate security, the advance payments cannot exceed the unpaid contract price and the agency head must make a determination in writing that advance payments are in the public interest or facilitates the national defense. There are some other (non-statutory) standards as well. The advance payments will not exceed the contractors interim cash needs based on analysis of the cash flow required for contract performance, advance payments are necessary to supplement other funds or credit available to a contractor, the recipient is otherwise qualified as a responsible contractor, and the Government will benefit from performance prospects or there are other practical advantages. Advance payments are often deposited into a special bank account and withdrawals are closely supervised by the Government. Contractors are usually required by contract terms to furnish a periodic accounting of all funds disbursed from the special bank account. Reconciliation of the confirmed bank balance with contractor's records and most recent statement of accountability of funds furnished the Government. Proof of the disbursement and deposit transactions reflected on bank statements with disbursement and deposit transactions shown in the contractor's records. Evaluation of the use of the funds withdrawn from the advance fund bank account to insure propriety thereof. Funds improperly used, including payments of unallowable costs, should be redeposited by the contractor. Determining whether Government payments are properly deposited within a reasonable time. Determining whether advances made to subcontractors are in accordance with basic agreements and are properly authorized and approved. Determining whether the amount of the fund is excessive considering the needs of the contractor to finance performance of the contracts. The prospect of an audit should not be dissuasive in requesting advance payments. Other forms of contract financing such as progress payments and public vouchers are also subject to audit. Do You Have a Work-at-Home Policy? We were recently perusing the updated audit program for conducting floorchecks and came upon the section dealing with contractor employees who telework, i.e. work from their homes or from alternate work sites and it got us to wondering just how prevalent this practice has become. At one time, telework was one of the hottest HR trends. It was believed that teleworking would lead to higher job satisfaction and companies could reduce the footprint of their facilities thereby saving money. There would be societal benefits as well; less highway congestion and cleaner air. Despite its benefits, there was always some level of skepticism as to the impact of teleworking on employee productivity. Nevertheless, a lot of companies jumped on the bandwagon and fully endorsed a work-at-home program. Even the Federal Government jumped on the telework bandwagon. In 2000 legislation was passed that required federal workers to telework to the maximum extent possible. By 2013, 3.3 percent of federal workers teleworked on a regular basis and actually lead the way among different classes of workers. By comparison, the percentage of private sector employees was only 2.6 percent (these statistics come from Global Workplace Analytics). Local government employers ranked last with only 1.2 percent teleworking). Over the past several years, we have observed a number of contractors who have rolled back their work-at-home programs including a very large Government contractor. Obviously, those firms must have conducted some kind of cost/benefit study and determined that there wasn't a sufficient "business case" to be made to continue the programs. If you are one of those contractors that still allow employees to work from home, and you have flexibly priced contracts (e.g. CPFF, T&M), the contract auditor will have some very specific questions concerning how that employee is monitored, supervised, and his/her productivity is assessed. Obviously the auditor is not going to show up at the employee's home to conduct a floorcheck but the auditor will be interviewing the employees' supervisors and ask for documentary evidence of supervisory control that will most likely include questions as to how productivity is measured and assessed. The auditor may even decide to interview the employee by phone. The objective of a floorcheck audit is to test compliance with timekeeping internal controls and procedures , the reliability of timesheets, and to verify that employees are actually at work, performing in their assigned job classifications and charging to the proper contract. Although it is difficult to meet these audit objectives when employees are working at home, the auditor will find some way to satisfy such requirements. What is the Prompt Payment Act (PPA)? The Prompt Payment Act (PPA) has been around for more than 30 years. It was enacted back in 1982 amid frequent and vociferous complaining by Government contractors (and vendors, in general) that the Government wasn't paying their bills on time and as a result, disrupted contractors cash flows causing financial hardships. GAO stepped in and determined that the contractors complaints were well founded. In fact, GAO found that the Government's delays in paying its vendors were not isolated incidences but occurred frequently and consistently. The PPA requires that whenever an agency fails to pay for goods and services by the required payment date, that agency must automatically pay interest on the amount owed. This applies as well to interim payments under cost-reimbursable contracts if payment is not made within 30 days after receipt of a "proper" invoice. A proper invoice is one that includes all of the information required by FAR 32.905(b). For cost-reimbursement contracts, a proper invoice for purposes of 32.905(b) includes all of the information required by the contract. Well, that's not too helpful so one has to go to the contract's billing instructions for that kind of detail. The Government has only seven days to determine whether an invoice is "proper". If it takes more than seven days and the invoice/voucher is rejected, those additional days are taken away from the 30 days in which the Government must pay before accruing interest. Back in the day, when invoices were paper, there were often disputes as to when the invoice/voucher was received. That is no longer an issue with the on-line payments systems such as iRAPT (formerly WAWF). The interest penalty is paid automatically. Contractors do not need to make requests. However, if the payment office fails to pay interest within 10 days of paying a late invoice, the contractor can make a written request for a penalty in addition to the interest. The written request must be made within 40 days of the actual payment date. When payment is delayed because of a dispute between the Government and the contractor over the amount of payment or other issues concerning compliance with the terms and conditions of the contract. When an electronic funds transfer is not timely through no fault of the Agency. When the interest penalty is less than one dollar. Although interest payments should be automatic, we are aware of a few cases where the Government did not add interest to delinquent payments. Once the contractors inquired concerning the interest, the Government paid up. It is important that contractors know their rights and monitor payments to ensure they receive interest, when warranted. We've discussed the topic of Government contractors paying for health care benefits (or health care costs) for ineligible dependents. In many cases, dependents who once received health benefits become ineligible because of divorce, because children "age out" of their parent's plans, because they are no longer students, or any number of other factors, depending upon the contractors' plans. Such costs have always been considered unallowable but in 2009, DCAA (Defense Contract Audit Agency) upped the ante and began calling such costs not only unallowable but unallowable subject to penalties. Specifically, the 2009 guidance on dependent health care costs stated that costs that do not meet the "expressed requirements" for allowability are "expressly unallowable". DCAA audits revealed some large contractors who inappropriately charged the Government for health benefit costs for dependents that were no longer eligible for such benefits under the contractors' plans. The guidance required that penalties should be assessed on any such benefit payments passed on to the Government. That audit guidance ignored the second part of the definition of "expressly unallowable" cost which required that for a particular cost to be expressly unallowable, it must be specifically named and stated to be unallowable. As DCAA tried to apply the guidance, considerable uproar among contractors ensued. Finally in 2012, the Director of Defense Pricing had enough and reversed the DCAA position. In reversing the position however, the Director stated that he would pursue a DFARS change to make such payments expressly unallowable. That happened in December 2013 when DFARS 231.205-l(m)(1) was amended to explicitly state that fringe benefit costs that are contrary to law, employer-employee agreement, or an established policy of the contractor are unallowable. We would have thought that the issue of whether benefits paid to ineligible dependents being subject to penalties would have been resolved. But the issue still comes up from time to time during audits. There is no question that such costs incurred today, if claimed, are subject to penalty. However, the DFARS provision applies to contracts awarded after the effective date of the standard, in this case December 6, 2013. So, those penalties would not apply to any fringe benefit costs paid to ineligible dependents prior to that date although the costs would still be unallowable. But because DCAA is still winnowing away its backlog of over-aged incurred cost submissions from periods prior to the DFARS change, some auditors are not making the connection between the years under audit and the effective date of the standard. We would guess that most contractors by now have set up internal controls to ensure that they are notified when there is a change is dependency status. More than a few contractors have initiated an annual survey to make certain that employees have not overlooked their responsibilities of notifying HR whenever there is a change in status. Suppose that you've identified a solicitation that your company is capable of performing but it contains a requirement that would be costly to implement. Your company would be happy to make the investment if it was awarded the contact, but if unsuccessful, the investment would be essentially worthless. That was the dilemma faced by CompTech as it was considering a proposal to provide technical support services for various DoD agencies. The solicitation required that offerors have a "top secret" facility by a certain date. CompTech did not have one and so it did not win the award. CompTech appealed to the GAO, claiming that the top secret facility requirement was unduly restrictive as the Government had no need of the top secret facility until several months after contract award, by which time CompTech, had it been awarded the contract, could have gone out and secured the facility. GAO did not sustain the protest. The procurement itself took a long time to complete as there were previous disputes including a size challenge. In total, it took nearly 13 months from the date of the initial RFP (Request for Proposal) until the ultimate date for proposal submission. Meanwhile, the Government had extended the its current contract several times and it was jeopardizing its ability to obtain the services it needed. The GAO ruled that the fact that CompTech disagrees with the Agency's judgment concerning those needs does not show that the Agency's judgment is unreasonable. The GAO also ruled that the fact that a requirement may be burdensome or even impossible for a particular firm to meet does not make it objectionable if the requirement properly reflects the Agency's needs. In fact, the record showed that five firms that did respond to the solicitation, had top secret facilities, undercutting CompTech's argument that the requirement was unduly restrictive. Companies seeking Government work need to take into consideration the cost of entering the market. Sometimes a significant investment is required and that investment needs to have reasonable return projections. If it is too costly, perhaps that solicitation is not for you. For the past couple of days, we have been discussing professional services and consulting costs, the risks associated with those costs from the Government's standpoint, factors that the contracting officer must consider when evaluating the propriety of such costs, and questions the contract auditors try to answer as they audit the costs. Today we want to tie up a few loose ends on this subject as we complete the series. If you missed the first two parts of this series, you can read them here and here. You can be certain, that if you claim any costs for these categories of professional service and consulting costs, the auditor and contracting officer will be asking a lot of questions. How does the auditor develop the universe of consultants? 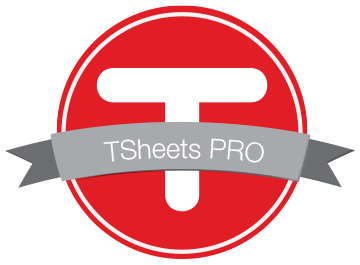 Contractors do not typically collect all professional service and consulting costs into one account. Such costs can be scattered among many accounts such as legal, accounting, marketing, outside services, and may also be charged direct to contracts under subcontractor or again, outside services. It would not be easy for the audit to compile an accurate listing. So, usually, the auditor will ask the contractor to provide a listing. Then after the listing has been provided, the auditor will likely ask for copies of the 1099 filings as a way of cross-checking contractors' representations. What other audit evidence might an auditor request besides the agreement, invoice, and evidence of work performed? Auditors have been know to request copies of consultant travel and trip reports. With these reports, auditors can determine whether there is sufficient information to establish a link to activity that benefits the business or Government contracts. Contractors might have a problem if, for example, a trip report identifies travel to a location that has nothing to do with the contract to which the costs were charged. If after the auditor is satisfied as to the adequacy of the supporting data, is there anything else to be concerned about? Yes - reasonableness. The auditor will endeavor to assess whether the fees charged are reasonable. Although "reasonableness" is often subjective, there are means for bench-marking fee schedules. For example, most of the major accounting firms have their rates published on the GSA Schedule. Those are the rates that the accounting firms will charge the Government for any services provided. Auditors have been know to compare the rates charged to them with the rates the same firms charge the Government. If those comparisons are not somewhere in the same ballpark, the auditor might challenge them. Professional service and consulting costs continue to be a high risk area for contracting officers and contract auditors. Contractors need to ensure that they have adequate systems and internal controls in place to prevent any hint of impropriety. There is a lot more that goes into determining whether consulting costs are allowable under Government contracts than just the "big three" documentation requirements (i.e. consulting agreement, invoice, and evidence of work performed). Yesterday, we listed the eight factors that the Government must consider in deciding allowability (FAR 31.205-33(c)) and today, as we indicated, we will look at how the Government structures its reviews in order to effectively "consider" those factors. First of all, the contract auditor must have knowledge of the contractor's procurement and subcontracting procedures, including methods of ensuring competition. An important competent of the procurement system is understanding the contractor's procedures used to identify the need for consultants in the first place. After that, its important to fully understand the selection process and finally, the manner in accounting for the costs. So, how does a contract auditor go about "understanding" and evaluating a contractor's system of internal controls for consultant costs? DCAA (Defense Contract Audit Agency) has gone to the trouble of compiling a list of questions that should be answered as part of a risk assessment. Depending upon how these questions are answered will dictate how much additional work is necessary to audit consultant costs. (a) Are consultant's hours controlled in the same manner as the contractor's professional labor? (b) Are time cards required? (c) Does the purchasing department maintain specifications for purchased services? (d) Is the organization receiving the service independent of that purchasing the service? (e) Does the contractor have a written policy explaining prohibited activities by purchasing agents? (f) Do procedures require complete history files for purchased services? (g) Do buyers document the purchase order files to explain price variances? (h) Are purchase orders specific and complete as to work scope, specifications, performance dates, and clauses of any type required by the contract? (i) Does the contractor have an established policy regarding the types of information and provisions to be included in agreements with outside legal firms? (j) Do procedures require competitive acquisitions of consultant services? (k) Does the contractor have a designated reviewer(s) of bills submitted by outside legal counsel and procedures to be followed when the designated reviewer believes the outside legal bills contain duplicative of excessive charges? (l) Does the contractor use consultants to engage in unallowable lobbying activity? If so, does the contractor identify and exclude such costs from billings, claims and proposals applicable to Government contracts? Contractors, could you pass these tests? There has been a lot of abuse over the years of this particular cost category. The Government is very sensitive when it comes to professional and consultant service costs charged to its contracts and contractors that make extensive use of consultants, must also ensure that it has sufficient policies and procedures in place to ensure the propriety of such costs. Long time readers of this blog will have a pretty good understanding of the specific documentation requirements for professional and consultant service costs found in FAR 31.205-33(f): consulting agreement (i.e. details of the agreement), invoices or billings, and work product. Although DCAA (Defense Contract Audit Agency) recently admonished its auditors to loosen up on strict interpretations by considering other forms of evidence that would satisfy the requirement, (see Consultant Costs - Revisited), this cost category still attracts lots of attention. In the word of one contract auditor, it represents "low hanging fruit" meaning that its an easy target for questioning costs. When audited, smaller contractors will get by with providing the consulting agreement, invoice, and work product. However, there is a lot more to the cost principle than just the amount of documentation required. The standard includes a listing of factors that the contracting officer must consider in determining whether the cost is allowable in the first place. It is only after these factors have been considered, do the documentation requirements come in to play. The nature and scope of the service, considering the contractor's capability in the particular area. The necessity of contracting for the service, considering the contractor's capability in the particular area. The past pattern of acquiring such services and their costs, particularly in the years prior to the award of Government contracts. The impact of Government contracts on the contractor's business. Whether the proportion of Government work to the contractor's total business is such as to influence the contractor in favor of incurring the cost, particularly when the services rendered are not of a continuing nature and have little relationship to work under Government contracts. Whether the service can be performed more economically by employment rather than by contracting. The qualifications of the individual or concern rendering the service and the customary fee charged, especially on non-Government contracts. Adequacy of the contractual agreement for the service (e.g. description of the service, estimate of time required, rate of compensation, termination provisions). Now you might be thinking that you've never heard of a contracting officer going to that level of detail in assessing the propriety of claimed professional and consultant service costs. And you might be correct. But DCAA, as the contracting officer's representative will, in cases were professional and consultant service costs are significant. DCAA takes a more systematic approach in assessing these factors with elements of purchasing system criteria thrown in. Tomorrow we will take a look at DCAA's approach methodology. ... a panel of procurement experts pointed to a couple other reasons: more missteps by a more inexperienced government acquisition workforce,and the disintegration of the "protest stigma" that once existed in the industry. The article attributes the dwindling federal acquisition workforce which has led to hiring contracting officers with less experience. We see anecdotal evidence of that often - not only more inexperience contracting officers but also overworked contracting officers. Concerning the stigma that once accompanied protestors, the article points out that agencies rarely run their own contract competitions. Contracts are awarded by acquisition ships, not the actual agencies doing the buying. "So, if you protest, you're not suing the customer - you're suing the contracting organization". Given the high stakes, companies are more willing to call out a contracting officer. Many protests filed with the GAO do not reach a decision on the merits because agencies voluntarily take corrective action in response to the protest rather than defend the protest on the merits. Agencies need not and do not report any of the myriad reasons they decide to take voluntary corrective action. But it would not be too hard to guess that there were indefensible flaws in the Government's processes. Today is President's Day so today's posting keeps with that theme. During the Civil War, the Union army relied heavily on private contractors for its uniforms, shoes, horses, gunpowder, food, and other necessities. It didn't take too long before contractors began cutting corners on what they delivered. There were stories about decrepit horses and mules, faulty rifles and rancid rations. Soldiers complained about uniforms that dissolved in the rain. There were some contractors who mixed sawdust in with the gunpowder they delivered to the Army. The Government was essentially broke and didn't have resources to hire inspectors much less investigators and prosecutors to bring cases against the miscreants. So Congress came up with a plan that would reward employees for turning in their own companies - the Government agreed to give them half of any fine it collected based on their accusations. This became known as the "Lincoln Law" because, of course, Lincoln was the President at that time. After the Civil War, the law went through a number of changes that effectively gutted its provisions. However in the mid-1980s, with news of that DoD was paying $640 for toilet seats, $7,600 for coffee makers, and $436 for hammers, Congress re instituted the "Qui Tam" provisions of the False Claims Act. Now, people who are not affiliated with the Government (whistleblowers) can file actions against federal contractors claiming fraud against the Government. Instead of the 50 percent share that was in place during the Civil War, relators (or whistleblowers) receive between 15 and 25 percent of any award or settlement amount. The Lincoln Law, by some accounts, has been very successful in ferreting out fraud, waste, and abuse in Government contracts and programs . Since it's revitalization in 1986 through 2013, the Department of Justice Reports that the Government has recovered $27.2 billion from cases arising from whistleblowers under the Qui Tam provisions. The whistleblowers themselves got $4.1 billion of that amount. So you've been awarded a contract and you know from the contract that it has been delegated to DCMA (Defense Contract Management Agency) for contract administration (see FAR Part 42). But you don't know who the specific contracting officer is nor are you given a phone number or email contact. 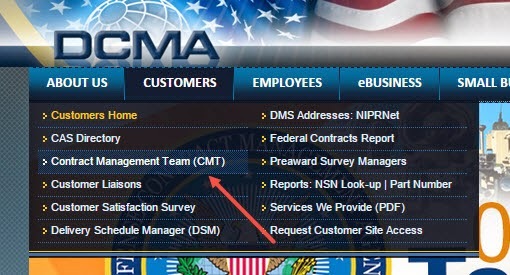 DCMA has a lookup function on its website that will give you the information. Here's how it works. You can search by contract number or CAGE code. Lets go to DoD contracts awards and find a contract number. These are the contracts awarded on January 15, 2015. We click on Search and get the following results. Not shown in this screenshot is the full email address of the ACO and many other DCMA employees having some kind of involvement with the contract, but also their telephone numbers. Now you've got the ACO name, his/her email, and phone number. Government employees, including military service members, often develop experience and expertise that makes the attractive to companies in the private sector. If an employee is seeking post-Government employment and the employee's Government work offers the opportunity to benefit a potential employer, the public may be concerned that the employee will do that work in a way that favors the prospective employer. After leaving Government, a former government employee could make unfair use of prior Government employment to influence Government action on behalf of another person or organization. Accordingly, the U.S. Office of Government Ethics has published extensive rules, regulations, and guidance for Executive Branch employees seeking post-Government employment and former employees engaging in certain activities after leaving Government service. A former employee may be prohibited from having contact with an employee of any Federal agency or court, on behalf of another person or entity, concerning an official matter with which the former employee was involved as a Government employee. All of this is background to an announcement yesterday from the Justice Department that a retired Air Force General agreed to pay $125 thousand to settle allegations that he engaged in conflict of interest activities after retiring. The General retired in October 2010 and became CEO of a contractor with Air Force contracts the following February. From June 2011 to July 2012, while serving as the contractor CEO, the retired General engaged in communications and appearances on behalf of the contractor, before US officer regarding a military defense program, a program that he participated in "personally and substantially" while he was with the Air Force. The retired General agreed to pay $125 thousand to resolve the allegations that his conduct violated conflict of interest prohibitions under federal law. The Government claims were allegations only and there was no determination of liability. Nevertheless, the guy is out $125 thousand plus plenty of legal fees. This case is similar to one we wrote about in 2013 involving an auditor who left the Government for contractor employment and proceeded to represent the contractor in matters she was involved in during her Government employment (or so it was alleged). She settled for a paltry $5 thousand. Government contractors, as well as the former Government employees they hire, need to know and understand these conflict of interest rules. The U.S. Small Business Administration (SBA) issued a new rule that will now limit the liability from fraud penalties for individuals or firms that misrepresent business concerns as being small for purposes of Federal procurement opportunities if they acted in good faith reliance upon small business status advisory opinions received from Small Business Development Centers (SBDCs) or Procurement Technical Assistance Centers (PTACs). The rule also established the criteria small business status advisory opinions must meet in order to be deemed adequate and specify the review process for such opinions. This limitation on liability will only affect those firms that incorrectly claim status as small business concerns after obtaining small business status advisory opinions from SBDCs (administered by the SBA) or PTACs (administered by DoD). In Fiscal Year 2014, SBA determined that approximately 137 firms had represented themselves as being small for purposes of federal procurement opportunities were not small. Most of these cases however did not involve fraud, but instead were the result of errors or misunderstandings of the size regulations. With regard to the small business status advisory opinion provision of the new rule, neither SBDCs nor PTACs are required to provide such opinions and it is not know how many SBDCs and PTACs will elect to provide such services, particularly given that no additional funding will be awarded to them to cover the cost of these services. Moreover, the SBA has no idea how much demand there will be for such services from those SBDCs and PTACs that offer them. provide a written analysis explaining the reasoning underlying the SBDC or PTAC's determination that the covered concern (along with its affiliates) either does or does not exceed the size standards. This analysis must be signed by an SBDC or PTAC business counselor or similarly qualified individual. include copies of the evidence (such as payroll records, timesheets, federal income tax returns, etc.) provided by the covered concern to the SBDC or PTAC clearly documenting its annual receipts and/or number of employees as those terms are defined by the SBA. The SBA will decide within 10 days whether to accept or reject the opinion. Once that opinion is received, a concern may rely upon that determination for purposes of responding to Federal procurement opportunities from the date it is issued until the concern undergoes a significant change in its ownership, management, or other factors bearing on its status as a small business concern. This will not foreclose on interested parties protesting a competitor's size. Even holding such an opinion, a firm's size may still be protested by interested parties in connection with a specific procurement. DCAA has been unable to meet the ... contract audit needs of the Department and has asserted that it simply does not have the resources to meet all Department of Defense and civilian agency audit requests. As it pertains to the Department, this situation was exacerbated by the fact that the Department lacked a comprehensive strategy to ensure that ... contractor costs were subjected to necessary audits. Instead, the Department employed alternative means for conducting a portion of required audits. In several instances, (the Department) contracted with independent public accounting firms for these services. At least some effort to fill the void lefty by declining DCAA audit coverage had also been made by one large ... contractor that expanded its internal audit function to conduct audits of costs incurred. (One organization within the Department) had also explored the possibility of developing its own audit capability. While laudable, these efforts were not well coordinated, in some instances did not comploy with professional audit standards, and do not, in our judgment, close the significant gap in audit coverage for ... contractors. The IG report goes on to explain that given the billions of dollars committed to contracting, the intricacies of contractor accounting systems, and the inherent inability of Federal contracting/reviewing officials to gain complete transaction level knowledge of contractor operations, comprehensive periodic audits are critically important. Timely incurred cost audits are an essential part of the system of safeguards to identify internal control weaknesses and detect and prevent reimbursement of unallowable costs. To put the situation into perspective, the IG reported that at contracts where there have been systematic reviews of incurred costs (22 contractors), questioned costs as a result of those reviews have totaled $1.1 billion. It is important to note that "questioned costs" is not the same as "sustained questioned costs". Just because costs are questioned, doesn't mean that those costs are unallowable under FAR cost principles or contract terms. It could be that the auditors couldn't satisfy themselves through audit means as to the propriety of claimed costs. It is just as likely that questioned costs are ultimately settled in the contractor's favor as it is that they are settled in the Government's favor. Because of DCAA's inability to provide timely audits, DOE has begun to rely upon outside CPA firms to conduct its audits. However, as the report explains, these options for supplementing DCAA audit coverage "are not inexpensive". DCAA audit coverage is not inexpensive either but probably much more cost effective than outsourcing. The report states that DCAA wants to continue providing audit support to DOE and will work with the Department to develop a viable solution to reduce the backlog. DOE doesn't necessarily believe that bringing DCAA back into the fold is a short term solution. "DCAA's ling-term intentions notwithstanding, it does not appear that any resolution of this problem is likely for a number of years. DOE has initiated discussions with DCAA to implement a strategy for reducing the backlog of unaudited incurred costs. However, no one is confident that whatever plan they come up with will quickly and efficiently reduce the backlog of unaudited contractor incurred costs. In recognition of DCAA's inability to fulfill DOE requirements, the IG has recommended that the Department develop a comprehensive strategy to ensure necessary audit coverage until such time as DCAA can catch up. DOE management supports the idea however they are cautious to assume any significant changes to the way DCAA operates. We fundamentally agree with the report's recommendations ... however it is important to recognize that whatever good intentions DCAA has, its track record makes it prudent to avoid assuming a marked change in DCAA's support. The IG report is available for downloading and reading here. In Fiscal Year 2013, the federal government met, for the first time in eight years, its small-business subcontracting goals (23 percent). Government contractors as a whole, did not meet their targets, and do not usually meet their targets. They often get close. In the last scorecard, Government contractors earned a "B" rating. Goals are goals and there never seemed to be any consequence for contractors that failed to meet those goals. No one ever seemed to take seriously a contractor's failure to meet them. We can recall numerous meetings where contractors would project their flashy PowerPoint's in front of assembled Government officials with furrowed brows explaining why they didn't meet their goals and explaining all the corrective actions planned to rectify the situation. Those Government officials, dazzled by the glibness, would nod in understanding and return to their desks. But they would return the next year, and the next, and the year after that for the same razzle-dazzle. A recent Comptroller General (GAO) bid protest decision suggests that there will be consequences for contractors failing to meet their subcontracting goals. Last month, the GAO published a decision where a contractor lost out on a $50 million contract because their past performance rating was downgraded as a result of not meeting its small business subcontracting goals. SAIC (Science Applications International Corporation) protested the award of a major contract to its competitor based on various deficiencies in DLA's evaluation of its proposal. Among those deficiencies was DLA's evaluation of past performance. The solicitation provided that each contract would be awarded on a best value basis, considering three evaluation factors: past performance, technical merit, and price. With respect to past performance, offerors were directed to submit information regarding up to six prior contracts and that DLA would evaluate both relevancy and contractor performance. Past performance ratings could be one of five levels, substantial confidence, satisfactory confidence, limited confidence, no confidence and unknown (or neutral) confidence. The solicitation provided that past performance was more important than technical merit, and that the non-price factors were significantly more important than price. In December 2013, proposals were submitted. In May 2014, DLA conducted discussions with the offerors. At the meeting with SAIC representatives, DLA advised SAIC that its failures to meet socio-economic and/or subcontracting goals on four prior contracts were viewed as weaknesses. The solicitation expressly put offerors on notice that DLA's evaluation of past performance would include consideration of the degree to which of offeror met socio-economic goals. Elsewhere, the solicitation advised offerors that DLA would rate how well the offeror met its subcontracting goals. Ultimately, the contract was awarded to another contractor. SAIC protested the award asserting that it was unreasonable for the agency to assign it a "satisfactory confidence" rating, noting that DLA appears to have disregarded ratings of "exceptional" for many of its prior contracts. More specifically, SAIC complained that it was unreasonable for the agency to downgrade SAIC's past performance for what SAIC characterized as four minor weaknesses pertaining to SAIC's failure to meet its socio-economic and subcontracting goals. SAIC asserted that such failures should have been offset by other positive aspects of SAIC's past performance and SAIC's ongoing efforts to substantially increase small business participation. The GAO disagreed. GAO stated that consistent with DLA's assessments, the evaluation record showed that SAIC failed to meet its socio-economic and/or subcontracting goals in four of the five contracts it submitted for past performance evaluation. DLA concluded that SAIC's multiple failures to meet its socio-economic and/or subcontracting goals were past performance weaknesses. Accordingly, DLA rated SAIC's performance as good" but not outstanding for four of the five contracts, and assigned an overall past performance rating of satisfactory confidence. The GAO found no basis to question DLA's determination that SAIC's failure to meet its socio-economic and/or subcontracting goals in four of five prior contracts constituted weaknesses, nor did the GAO question DLA's overall rating of satisfactory confidence. The assessment was consistent with the solicitation's stated evaluation criteria, supported by the evaluation record, and reasonable. The entire GAO decision is available here. Some companies have required employees to sign confidentiality statements as a way of preventing (or at least discouraging) employees from reporting fraud, waste, and abuse to Federal investigators. Contractor employees, like Government employees are protected under various whistle-blower statutes yet some companies are taking the position that disclosures of fraud, waste, and abuse are tantamount to disclosing, reporting, or disseminating insider or company proprietary information. Also, most companies, when made aware of fraud, waste or abuse within their organization, would prefer to resolve the issue internally rather than having it drug through the public square. To forestall or prevent that from happening, there have been reported instances where contractors have required employees to sign non-disclosure to Federal investigative agencies of instances of fraud, waste, and abuse. That is about to change for Defense contractors. Yesterday, the Director of Defense Procurement and Acquisition Policy announced that effectively immediately, no DoD funds will go to contracts with companies requiring its employees, seeking to report fraud, waste, or abuse, to sign internal confidentiality agreements or statements prohibiting or otherwise restricting such employees or contractors from lawfully reporting such wste, fraud, or abuse to a designated investigative or law enforcement representative of a Federal department or agency authorized to receive such information. The Contractor shall not require employees or subcontractors seeking to report fraud, waste, or abuse to sign or comply with internal confidentiality agreements or statements prohibiting or otherwise restricting such employees or contractors from lawfully reporting such waste, fraud, or abuse to a designated investigative or law enforcement representative of a Federal department or agency authorized to receive such information. And, if the contractor has already made its employees or subcontractors sign such confidentiality agreements, it must advise everyone that the agreements are no longer in effect. The Contractor shall notify employees that the prohibitions and restrictions of any internal confidentiality prohibitions and restrictions of any internal confidentiality agreements covered by this clause are no longer in effect. You can read more of the new DoD policy by clicking here. The DoD Director of Defense Pricing issued guidance (actually a reminder of existing policy) to contracting officers and those empowered to bind the Government in contracting matters, pertaining to (i) commercial items and (ii) the determination of reasonableness of price for commercial items. DoD spent $60 billion on commercial items last year. The concept behind the commercial items pricing exception to TINA (the Truth in Negotiations Act), is that the item, its value, and its price, are results of supply and demand in a commercial marketplace where buyers and sellers have other commercial alternatives which compete with the commercial item(s) being purchased. At the end of the day, contracting officers have to ask themselves whether they are paying a fair and reasonable price. There are several ways to approach that question. When acquiring commercial items, the preference is to use market-based pricing when determining a fair and reasonable price. If market based pricing is not available however, FAR Part 12 provides the flexibility to use a variety of pricing techniques to include, but not limited to cost/price analyses, parametric estimating, should-cost techniques and/or analogous pricing of similar items in determining whether the Government is paying a fair and reasonable price. If market based pricing is not available, a Contracting Officer may use cost-based analysis. That doesn't mean the contracting officer should require certified cost or pricing data. FAR 15.403 recognizes that there are times when other than certified cost and/or pricing data is needed to determine a fair and reasonable price. "Other than certified cost or pricing data" takes many forms and in certain instances, the only difference between "certified cost and pricing data" and "other than certified cost and pricing data" can be the fact that the data is certified. The primary purpose of obtaining "other than certified cost or pricing data" is to support the justification that the Government is paying a fair and reasonable price for the item being purchased. The FAR preference is for contracting officers to seek information through market research and other Governmental sources. In cases where items have minimal or no sales history to non-governmental entities, market research by the contracting officer is difficult and often fruitless. In these instances, the contractor should be asked to provide information on why the price it wishes to pay is fair and reasonable. The statute and the regulations provide that contracting officers shall require "appropriate information on the prices at which the same or similar items have been previously sold that is adequate for evaluating the reasonableness of the price. The standard used by the contracting officer to determine price reasonableness is whether a reasonable businessman or business woman reviewing the data would conclude that it is sufficient to demonstrate that the taxpayers are paying a fair and reasonable price for the item. You can read the full memorandum here. The issue of uncompensated overtime has long been a Government concern. Although the Government does not encourage the use of uncompensated overtime (see FAR 31.115-2(a)), contractor employees often work uncompensated overtime and when the uncompensated overtime is not factored into the calculation of hourly rates (or salaries), the contractor earns a windfall if it bills out (or negotiates) all hours, compensated and uncompensated, at rates that do not reflect uncompensated hours. FAR Part 37 prescribes policies and procedures that are specific to the acquisition and management of service contracts. Service contracts include such activities as (i) maintenance, overhaul, repair, servicing rehabilitation, salvage, and modernization, (ii) routine recurring maintenance or real property (iii) housekeeping and base services, (iv) advisory and assistance services, (v) operation of Government-owned equipment, real property, and systems, and (vi) etc. Adjusted hourly rate (including uncompensated overtime) is the rate that results from multiplying the hourly rate for a 40-hour work week by 40, and then dividing by the proposed hours per week which includes uncompensated overtime hourrs over and above the standard 40-hour work week. For example, 45 hours proposed on a 40 hour work week basis at $20 per hour would be converted to an uncompensated overtime rate of $17.78 per hour ($20.00 * 40/45 = $17.78). Uncompensated overtime means the hours worked without additional compensation in excess of an average of 40 hours per week by direct charge employees who are exempt from the Fair Labor Standards Act. Compensated personal absences such as holidays, vacations, and sick leave shall be included in the normal work week for purposes of computing uncompensated overtime hours. Whenever there is uncompensated overtime, the adjusted hourly rate (including uncompensated overtime(, rather than the hourly rate, shall be applied to all proposed hours, whether regular or overtime hours. These changes were for the purpose of clarifying the existing regulations, not to make any changes in the policy for uncompensated overtime. But its a good reminder for contractors that they need to develop timekeeping and labor distribution systems that track and account for uncompensated overtime. Click here for additional details on the FAR change. We're not sure when it happened. One day they were there and the next time we looked for them, they were gone. We're referring to DCAA's (Defense Contract Audit Agency) checklists for Contract Pricing Proposal Adequacy and Forward Pricing Rate Proposal Adequacy. Here's what you see when you try to bring them up on DCAA's website. Actually, this is a good thing. The dueling checklists, although very similar, were confusing for contractors. The auditors would go to contractors and use the DCAA checklists even though the contractor had run its contract proposal or forward pricing rate proposal through the DoD checklists. The DoD checklists are improved over what DCAA was using. The DoD checklists have gone through the regulatory process where public comments were solicited, considered, and in some cases, resulted in changes to the proposed checklists. DCAA's checklists on the other hand were cobbled together in-house and carried a heavy dose of what DCAA considered necessary to achieve adequate proposals and rate proposals. Its not that DCAA's checklists were bad - they just needed some refinement. Checklists have a place in proposal preparation but just because a proposal "passes" a checklist, does not mean that it is adequate. There can still be many deficiencies, inconsistencies, omissions, and illogical or nonsensical narrative to befall a proposal submission. The larger and more complex the proposal, the more chance for such stuff to sneak into the final cut. These checklists are mandatory for DoD proposals so use them. Once a proposal passes the checklist, it will at least get to the next level of consideration. We discuss fraud quite a bit in this blog. There is no shortage of fraud cases occurring in Government contracting. Often the fraud is between Government employees and the firms that they oversee. Sometimes, the fraud is between contractors and supplies were increased costs is passed on to the Government. The Association of Certified Fraud Examiners (ACFE) has come up with a model to help explain why fraud occurs. Its referred to as the fraud triangle. The fraud triangle is a model for explaining the factors that cause someone to commit occupational fraud. It consists of three components which, together, lead to fraudulent behavior. Consider the fraud triangle elements as it relates to allegations raised just last week. A retired Army Sargent Major returned to the Army as a civilian senior program manager and a contracting officer's representative. Last October, he invited a couple of executives from a company that he oversaw and solicited bribes. His solicitations were somewhat comical. He invited the two representatives to lunch. When they arrived, he was wearing sunglasses and drinking a margarita. He then instructed the company representatives to turn off their cell phones. The Army guy then passed out menus to the executives and inside the plastic covering for the center section of the menus was a piece of paper which outlined a bribe and extortion solicitation. Communications were conducted by typing into a notes application on the Army guy's phone. The Army civilian was asking for $500 thousand. In return for the $500 thousand, the Army civilian stated that he would expunge damaging information contained within Army files on the company. Additionally, he would ensure that the company received the follow-on contract to the program they were currently working. That program was estimated to total $100 million to $120 million over a five year period. To their credit, the company executives declined the offer and then paid a visit to the FBI. The FBI opened an investigation, using the company executives to pass $50 thousand in bribes to the Army civilian. The Army civilian used most of the money to pay off family credit cards. At one meeting during the investigation, the Army guy patted down the executive looking for a recording device. He missed it and was caught on video discussing bribe money. The Army civilian had the pressure (credit card debt) and the opportunity (oversight of a significant dollar Government contract). We don't know too much about his "rationalization" because the DOJ press release didn't provide enough information. Contractors, do you trust your employees to do the right thing when faced with similar situations? Do you have an effective standards of conduct policy? Are you setting the proper "tone at the top"?